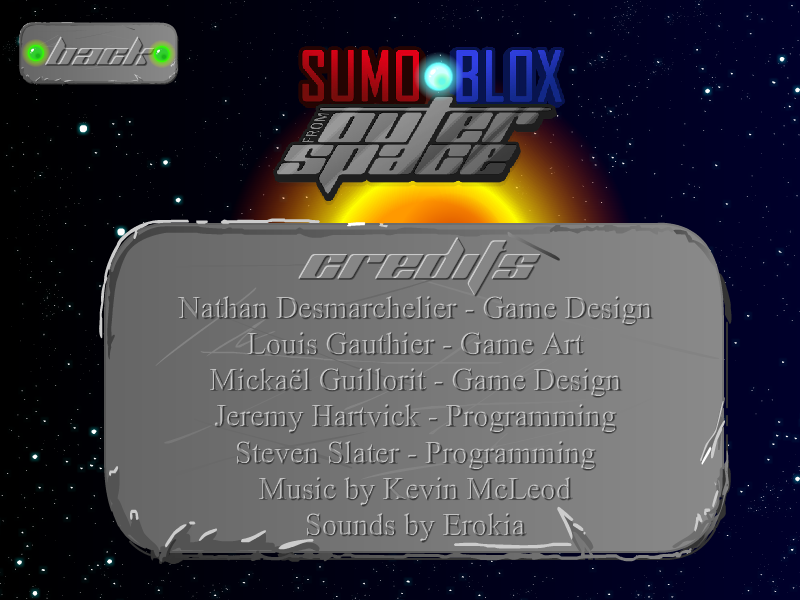 SumoBlox is a 2D two player competitive action game developed during an intensive week at Supinfogame. Our constraint was to develop the game using flashpunk or flixel with a team only composed of game design students. 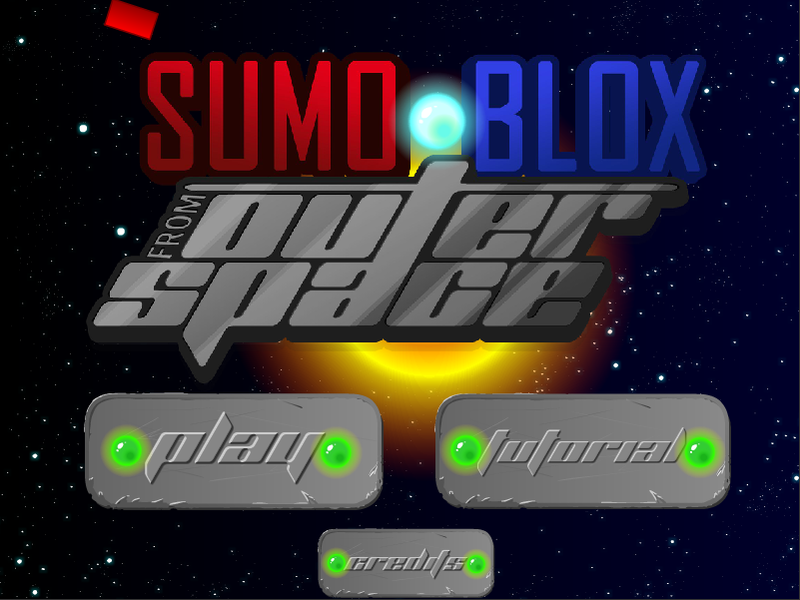 In this game, the players embody two sumoblox which have to confront themselves in a space-sumo battle, trying to push each other outside of the arena. Each player can attract or repulse nearby objects/player. The force of these will depend on his size and how long he charged the skill. The bigger he is and the longer he charges, the stronger the force. In order to grow, the player has to absorb little orbs spread all around the level. Once he use a pull force or a repulsion force, his size will decrease. The player cannot stay att full size for more than few seconds. Furthermore, if he absorb too much orbs, he will deflate and get back to small size. Small characters are fast and jump higher but they are less heavy and so more sensible to the adversary pull and push. On the other hand, big characters are less affected by adversary forces but they move slowly and make only small jump. As I said above, our team was composed of 5 game design students. So, we decided to split the work accordingly to the desires and the competences of each member. Steven Slater had some experience on programming and I wanted to learn about it, so we decided code together. Louis Gauthier, who was the better artist among us decided to make the art. Mickaël Guillorit and Nathan Desmarchelier were in charge of the game design, the level design and the playtesting management. This project was my first experience of coding. Thanks to Steven I learned a lot about flashpunk, how to structure a code and comment properly, the object oriented programming and also how to make the game easy to tweak for the game designers. As a game designer student, this gave me an important view on aspects of the production that I had not experiences yet. Due to the short amount of time we had, the game is not polished. If we had enough momentum, I would have made the camera movement smoother and less aggressive to the eye. Also, I would have reworked the game tweaking and the level designs in order to improve them. And of course I would have corrected some bugs that are still remaining in the game. 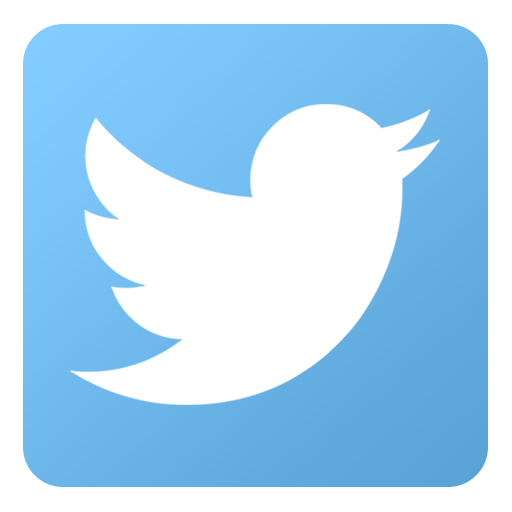 Click on the icon to open the flash demo. Once you have chosen your level click on the screen to be able to move.